If you are thinking about learning a new language, you would probably have thought about how useful it would be to know—and a key determinant of that would be the number of people speaking it. 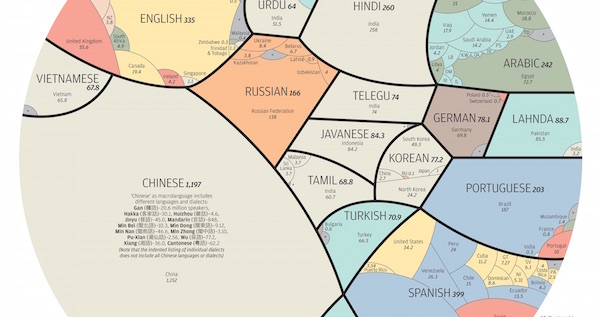 Alberto Lucas López, senior graphics editor at National Geographic, has created a fascinating pie chart that illustrates proportionately the world’s 23 most spoken languages, based on their number of natives speakers—for instance, Chinese took up the greatest chunk on the chart, with 1,197,000,000 native speakers. Each language, demarcated by black borders, contains smaller separate sections that represent the countries speaking it, and provides information about the number of native speakers in those countries. In addition to data about native speakers, the chart also shows the number of countries each of these languages are spoken in, as well as the total number of living languages used as a first language in 60 countries. 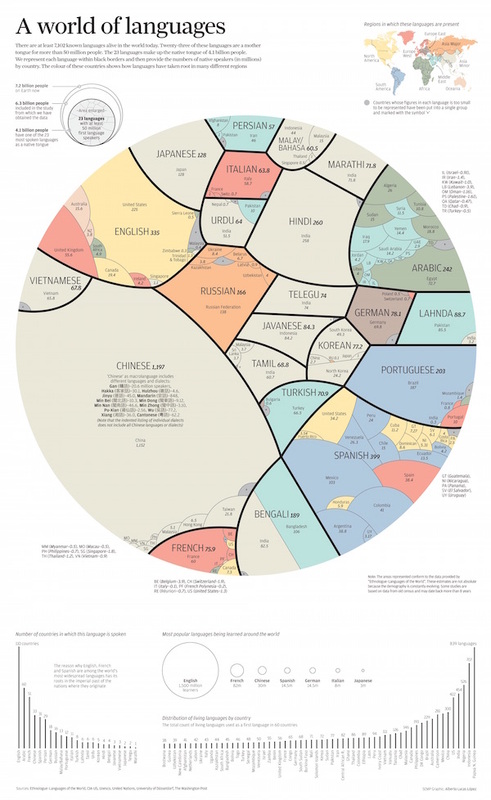 Scroll down to take a closer look at the infographic—did you native language made it to this chart?